Back in the day, when attending the summer and winter CES shows was a necessary part of my job I used to fantasize about the day when all the information would be available "on-line" and there would be no need to attend the shows in person. 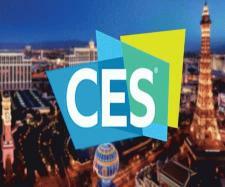 The "Big Deal" at this year's CES was definitely 5G. It promises to deliver smart EVERYTHING, from cars, to drones, to an inter and intra-connected universe with latency reduced to the point that a smart car will be able to see and react to roadway issues without turning its occupant into hamburger. To see how much faster 5G promises to be, look at the chart - 1/10 the latency, 20 times the peak data capacity, 30 GHz instead of 3 GHz available spectrum, and the ability to handle a million connections versus 4G's 1000 connection top end. The biggest news for those of us who look forward, rather than backward, is that both major audiophile streaming services had announcements. Tidal rolled out MQA capabilities for a number of Android-based phones, which if I had an Android phone, would make me very happy. Qobuz finally opened their US Beta program. I switched from my pre-beta European subscription to the new US version. What I like about both of these announcements was that they were for improvements that we can have NOW, instead of pie-in-the-sky 5G. For turntable fanatics Technics rolled out a new turntable, the SL-1200MK7. Early pricing estimates are that it will be around $1200US. Comments around the net by turntable connoisseurs, which few have actually heard in person yet, focused on its use as a platform for tweaky modification. DJ websites are excited as many of their working pros are ready to replace their older and worn-out Technics turntables with something new. When we move over to traditional electronics at CES the pickin's get thinner. 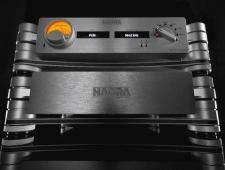 Onkyo/Teac introduced two amplifiers, both priced around $1600, the AP-505 power amplifier and AX-505 integrated amp. Both use Hypex Ncore amplifier sections. The AX-505 integrated amp is an an analog-only unit with four line-level inputs. At the other end of the price spectrum Nagra unveiled their new flagship D/A, the HD DAC X. Priced at a cool $64,500, this two-chassis design with a battery power supply has 37 different power supplies, 16 for the digital section alone. For audiophiles who are ready to jump into a dedicated streaming solution NAD released their new M10 BluOs enabled amplifier. With a Hypex Ncore amplifier section, Dirac room correction, BluOs smartphone app, and even Alexa support, this $2499US MSRP box looks pretty darned cool - a one-piece solution that only needs loudspeakers to be a complete system. On the loudspeaker front the bigest news for Audiophiles with budget constraints is the new offerings from Elac. The new Carina series has three loudspeakers, the BS243.4 bookshelf ($1,200), the FS247.4 floorstander ($2,400) and the CC241.4 center channel ($TBD). All three use a new folded tweeter that extends to 30KHz. I reviewed the Audeeze iSIne 20, I liked it's unique fit and sound, but lamented that it was only available in a wired configuration. Well, now for $99 you can add a wireless tether that supports BT 5.1, aptX HD, and offers up to eight hours of battery life.